The Game and Fauna Service has erected a wooden fence in two sections of the lake - the north part where the information point will soon be erected and at the south part where the birdwatching hide has just been built. A deer type fence is now in place at the rest of the lake’s perimeter. Until recently, the site had been suffering from disturbance by human presence, either from people walking their dogs or driving in the lake. 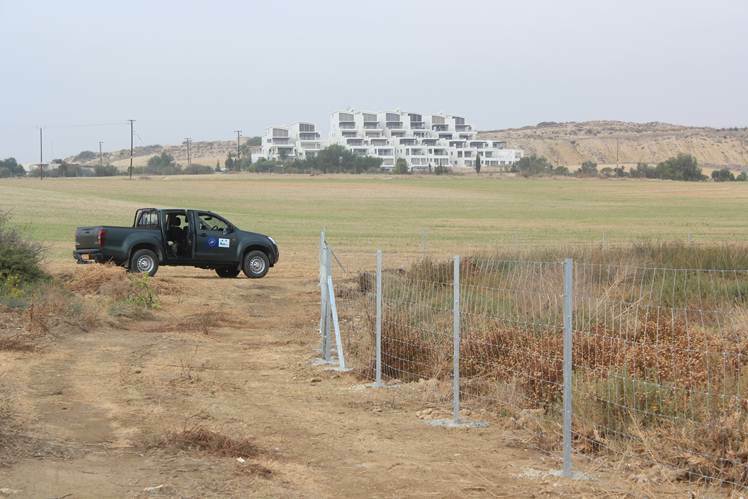 Therefore, fencing the site was a crucial measure for minimising disturbance to target species that are highly vulnerable to continuous human presence within their nesting areas. Visitors will now have the opportunity to enjoy this natural wetland and its wildlife from the three-meter high birdwatching hide that has just been built on site. Soon, interpretation panels will be placed in the hide to inform visitors about the birds seen during different times of the year. While in early 2014, an information point will also be built. 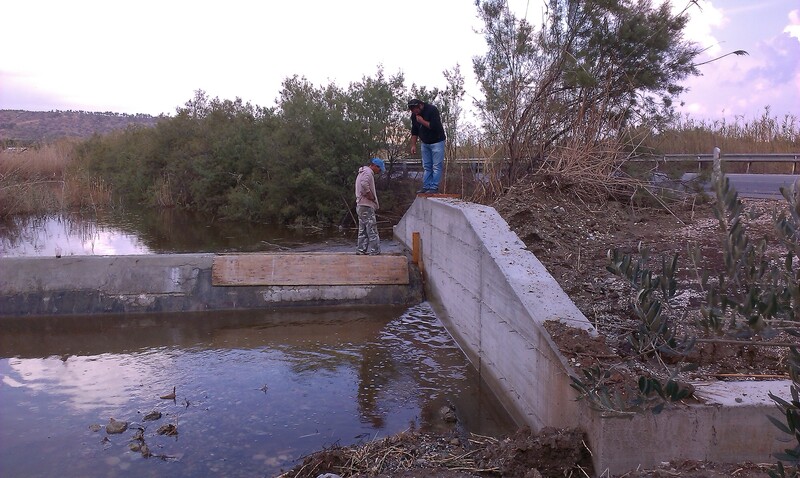 The water management works have also been completed this month. These works included the creation of nesting islets that will be surrounded by water in order to provide protection to the nests from predators and also the opening of an outlet channel in order for the water to flow from the lake to the sea, the repairing of the existing weir and the installation of eel passes. 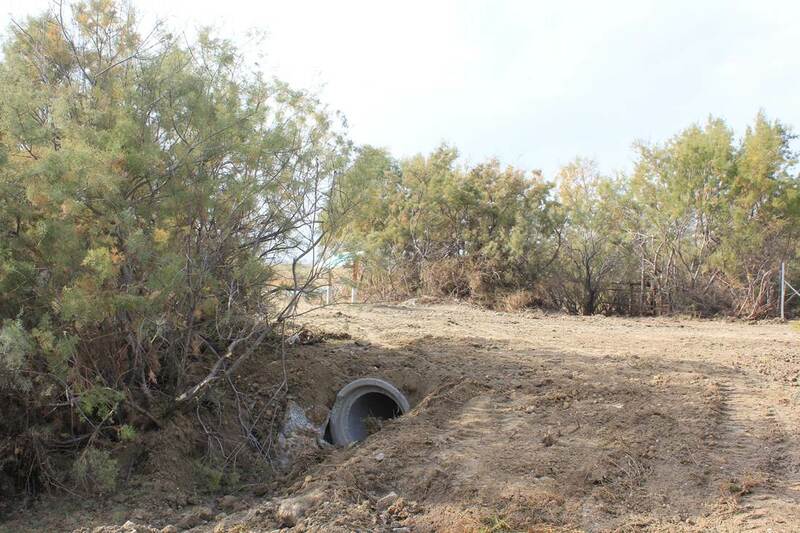 The aim of the water management works is to ensure suitable levels of water for birds during their breeding season (spring) and to control the water flow in all parts of the lake. Finally, quite a few awareness raising actions were completed during the last months. 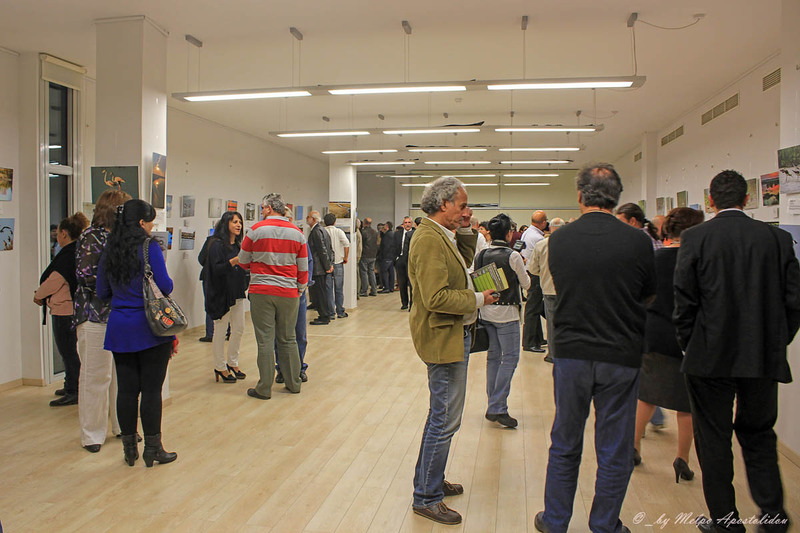 These were the completion of a 15’ minute documentary on Oroklini Lake, the photo exhibition “Oroklini Lake all through the year”, the publication of a photo album and the organisation of a public information day on 27 November. 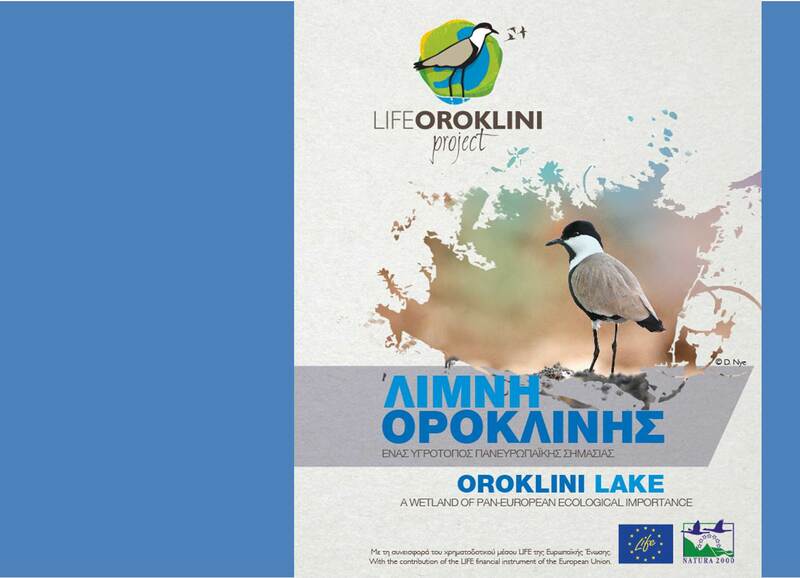 With the completion of all these actions during the two years of project implementation, Oroklini Lake is already turning into a safe place for birds and a visitor friendly nature site. The year 2014 looks promising, as it will be the last year of the project with many more actions to be completed.